Yes, it’s still Christmas even if the neighbors put their tree out today because it’s trash day! Mine, however will stay up until the Feast of the Epiphany. But let’s go back to, “it’s still Christmas” for a bit. We celebrate Christmas for eight days. The celebration begins on Christmas Eve and continues until January 1 with the celebration of Mary, the Holy Mother of God. Within these eight days we celebrate a few important feast days. On December 26, we celebrate St. Stephan, a deacon and the Church’s first martyr. The 27th St John, apostle and evangelist is remembered. December 28 is the Feast of the Holy Innocents in honor of the children killed by King Herod just after Jesus was born. (See Matthew 2:16-18) On December 30 the Holy Family of Jesus, Mary and Joseph is honored. The Church continues with the Christmas season with the Epiphany on Sunday, January 8 and then the Baptism of the Lord on January 9. Tuesday the 10th begins Ordinary Time again. At little tip on how you know the season changes; the colors you see in Church will change! The Christmas season color is gold or white. The priests’ and deacons’ vestments as well as banners or cloths used on the altar are gold and/or white. When we move into Ordinary time the color is green. Enjoy celebrating Christmas for the entire season. Jesus is the greatest gift, a visible sign of the Father’s love for us. The Incarnation gives us new life, both literally as we see a newborn baby and spiritually in that Jesus’ becoming man saves us. He brings us joy and abundance of love. Celebrate! Sacred Reading is a daily gospel reflection book put out by the Apostleship of Prayer and published by Ave Maria Press. This particular book is focused on Advent and Christmas for this year. There are many things I like about this book. It encourages us to read the day’s gospel, which is so important if we want to know Jesus. It also introduces us to Lectio Divina, a prayerful way to read scripture. Each day contains prayer prompts, the gospel, and questions to ponder. There are six steps each day: know that God is present with you and ready to converse, read the gospel, notice what you think and feel as you read the gospel, pray as you are led for yourself and others, listen to Jesus, and ask God to show you how to live today. Each section, except the gospel, has a prompt to get you started thinking about the gospel or what is happening in your life or around you that needs attention. What I like about this book is that the questions posed are not lofty theological ones but rather, practical ones. What am I to do today? How am I to live doing God’s will? Each day you ask that question you are reminding yourself that God is in charge and that his will for your life is the best course of action. Especially during the Advent and Christmas season when our culture is hyper-focused on doing and buying and rushing it is necessary for us to pause, ponder and recall what this season is about. This book will guide you in your daily life through the prayer and meditation to focus on the Incarnation. I use the year long version of this book for my daily prayer time and find it to be very much on-point and thought provoking. This shorter book is a great way to introduce people to this style of prayer and reflection. 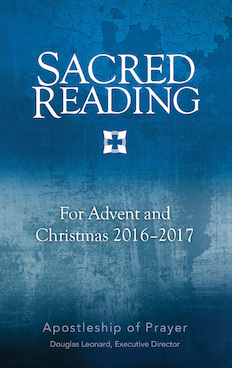 Sacred Reading would be a great gift to catechists and families. I highly recommend it as a way to prepare for our Savior’s birth for everyone who wants to pray with the scriptures. The book is available at Ave Maria Press. Let’s face it, technology is not going away and kids love to play games using technology. But every now and then it’s be nice instead of playing Angry Birds they maybe played a game that they could learn from. Enter: Catholic Words and Games. I downloaded it onto my iPhone and played, many times. There are five different games on the app: flash cards, memory match, tap it, spell it and name match. In theory, you could learn all the words using the Flash Card section and then move onto the other games. But that’s not how I roll. I just started playing. I made mistakes ( on purpose people, c’mon now) and nothing bad happened. Sadly, I didn’t have anyone to play with but I think it’s great you can play the games with others. Memory Match is my favorite and you can choose from six different sized boards, the more squares you choose the more challenging. The Name Match is fun as well. My least favorite is Spell it, mostly because I stink at spelling! I would definitely have used this game with my children, instead, I’ll start having my faith formation students play with it while we wait for parents. The app is available for both mobile and desktop devices, for windows and mac users, on iTunes or Google Play. 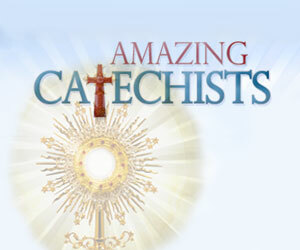 For more information and a peek at graphics, go to the website, Catholic Words and Games. I can understand that there may be concerns, hesitation and maybe just a bit of fear that people will respond in a negative way. However, if we, the people of God are not challenged how will we grow? As Fr. Pavone says, “Preaching should foster the ongoing conversion and growth in holiness of the people entrusted to our pastoral care. A pastor is a shepherd. To shepherd people, preachers must be clear and courageous in confronting evil and likewise calm and compassionate. Our desire is to instruct people, inspire them, and equip them to take action.” What a beautiful vision for preaching and one I hope all who preach aspire to. The book for Fr. 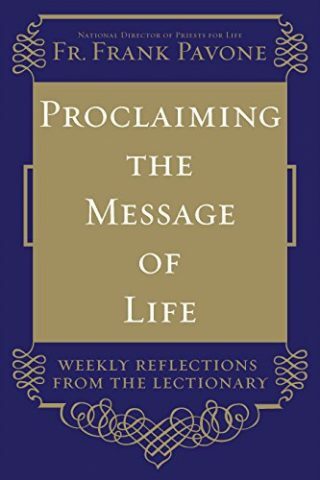 Pavone wrote is a wonderful aid in preaching the message of life. The book has two main divisions, part one of the book gives a general overview of why and how to preach this message while part two gives specific reflection for every Sunday of the Year for all three cycles of readings! It is very extensive. 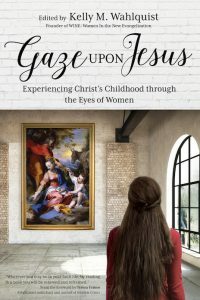 The first part of the book talks about why and how to preach about abortion, including scripture and doctrinal points that can be used as a springboard for talks or homilies. My favorite chapter though is seven, “Common Obstacles to Preaching on Abortion.” The thirty-two questions raised and answered ran the gamut from “Am I afraid I won’t be loved?” to “Will I endanger our tax exemption by speaking on abortion?”. I think this book would be a welcome addition to the libraries of those who preach and also those who are active in pro-life ministry. It is practical, useful and accessible tool. The book is full of reassurances to preach the truth, based on Fr. Pavone experiences of preaching all around the country as the national director for Priests for Life. Published by Servant, it is available in both hardcover and digital editions. I was eager to read Keep Your Kids Catholic by Marc Cardaronella for many reasons. Many people on social media and sites I frequent had positive comments about it; I need resources to share with my families in our faith formation program; and I’m working on revamping that program to include some parent component. And of course, I wanted to know if I’d done of Marc’s ideas when I was raising my own kids. What I look for in resources for parents are books which teach without being preachy, doable activities that take a minimum of preparation and implementation time, and are possible for parents who are and those who aren’t, well versed in the faith. I’m happy to say Cardaronella does all of that and more. The book is divided into four parts, “How does Faith Work”; “Is Your Own Faith Secure?”, “What Kind of Education Fosters Faith?” and “How do You Create an Environment of Faith?”. Each part has four chapters and at the end of each chapter there is a section called, “Reflect, Pray, Live” which gives action points for parents on how to implement the ideas in the chapter. Marc weaves his own faith journey story into the book, reminding readers that no one is perfect and coming to faith is a process which happens over time. It’s not a once and done proposition. Many points he made about our religious education programs resonated with me and reminded me yet again how much work we need to do in that area. I’m not going to give you every quote I highlighted from the book, but here are two that can give you a sense of his tone and style. “Faith doesn’t automatically develop from reception of the sacraments and religious education…although those two things are important in nurturing faith.” This is a constant struggle. It is almost as if parents and even sometimes catechists and program directors believe that learning enough facts, prayers, and information to receive certain sacraments means we’ve helped someone grow in faith. Knowledge does not determine faith. This quote is possibly my absolute favorite, “The goal of faith formation is not a theoretical knowledge of Catholic doctrine, but a lived experience of faith in Jesus Christ.” Can someone work on that thought becoming a part of every mission statement of faith formation programs? I know I’ve focused quite a bit on my personal perspective of why this book is a necessary read. Let me say that I found it to be a book for all of us who interact with children in regard to their faith journey. I will encourage the parents of the families I work with to pick up this book and put its ideas into practice. Parents have a tremendous influence over their children and are often at a loss as to how to have a positive and effective input where faith is concerned. Keep your Kids Catholic does a wonderful job of providing practical information on how to help children grow in their faith. For more information about the book or to purchase, you can go to Ave Maria Press. Those of us in the business of doing Catechesis are well aware that things are not quite coming together as we’d hoped. And there is frustration all around along with finger pointing and blaming. In addition, we have this call to the New Evangelization and honestly, for many catechists that’s too much on top of trying to teach about the faith. Or is it? 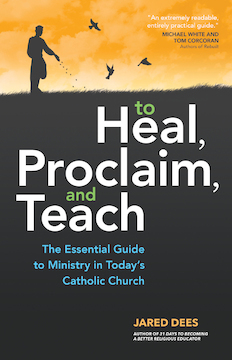 Jared Dees new book, To Heal, Proclaim, and Teach: The Essential Guide to Ministry in Today’s Catholic Church shows us how to put evangelization and catechesis together in ways that I believe can work. There is comprehensive information about where we stand in religious education, how we got here, and what needs to change. But Dees does not leave it there. Which is good, because at 300 pages I really wanted some practical advice on how to improve the faith formation program I run. And practical is what is in there. For different levels, ages and stages of the people we minister to in our parishes. Let’s face it, there is no one size fits all when it comes to “how to do it”, whatever “it” you are trying to do. But there are best practices and proven ideas they can help you figure out the next step. Dees quotes St. John Paul II, “The definitive aim of catechesis is to put people not only in touch but in communion, in intimacy, with Jesus Christ.” Yet when we plan our programs, is our main focus communion with Christ or what needs to be known in order to be confirmed? It’s not that knowledge is bad, but it is not the end goal. One of my favorite sections in the book was Entertainment Vs. Engagement. 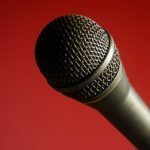 Dees points out that “Engagement is unlike entertainment in that we are required to participate…we do the creating…Engagement is not easy; it is challenging. “Jesus challenged the people of his time and so must we. Dees does an excellent job of explain what he means by heal, proclaim and teach. If he had stopped there it would be an interesting book. But he goes one step further in Part IV of the book by giving concrete examples of Evangelizing Ministry with Every Generation. Besides all of this practical information each chapter has additional resources on the website, To Heal, Proclaim, and Teach. If you are involved in parish ministry, as a paid professional or volunteer, this book is an excellent resource. It gave me direction, practical ideas and even more importantly, hope. I could not recommend it more strongly. For more information on the book and to purchase a copy go to Ave Maria Press.